Leonid Ilyich Brezhnev was a Soviet politician. The fifth leader of the Soviet Union, he was General Secretary of the Central Committee of the governing Communist Party of the Soviet Union (CPSU) from 1964 until his death in 1982. Ideologically, he was a Marxist-Leninist. He presided over the Soviet's greatest involvement in world affairs, including détente with the West. But he also increasingly confronted the Sino-Soviet split, which divided and weakened communist parties across the world. In domestic affairs, he presided over a steady decline in the economy, marked by corruption, inefficiency, and rapidly widening weakness in technological advances, especially computers. Nevertheless he was a force for political stability inside the Kremlin, maintaining his power despite his rapidly declining health after 1975. The 1979 Soviet economic reform, or "Improving planning and reinforcing the effects of the economic mechanism on raising the effectiveness in production and improving the quality of work", was an economic reform initiated by Alexei Kosygin, the Chairman of the Council of Ministers. During Leonid Brezhnev's rule of the Union of Soviet Socialist Republics (USSR) the Soviet economy began to stagnate; this period is referred to by historians as the Era of Stagnation. Even after several reform attempts by Kosygin and his protégés, the economic situation in the country continued to deteriorate. In contrast to his earlier reform initiative, the 26th Congress that his government would implement the reform during the (1981–1985). This never happened, and even Brezhnev complained that implementation of the reform had been slow. This unfinished reform is seen by some as the last major pre-perestroika reform initiative put forward by the Soviet government. 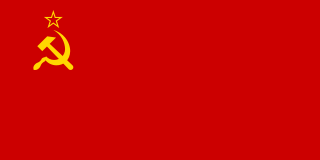 The Khrushchev Thaw refers to the period from the early 1950s to the early 1960s when repression and censorship in the Soviet Union were relaxed, and millions of Soviet political prisoners were released from Gulag labor camps due to Nikita Khrushchev's policies of de-Stalinization and peaceful coexistence with other nations. The Premier of the Soviet Union was the head of government of the Union of Soviet Socialist Republics (USSR). Twelve individuals became Premier during the time span of the office. Two of the twelve Premiers died in office of natural causes, three resigned and three had the offices of party secretary and Premier simultaneously. The first Premier was Lenin, who was inaugurated during 1922 after the Treaty on the Creation of the Soviet Union. Ivan Silayev spent the briefest time in office at 126 days during 1991. At more than 16 years, Kosygin spent the longest time in office and became the only premier to serve in more than two government cabinets. He died soon after his resignation during 1980.